Charles Francis Dolan is a Cleveland, Ohio born American businessman who is best known for being the founder of HBO as well as Cablevision. Born on 16 October 1926, Charles is particularly noted for being a self-made billionaire who maintains his occupation in the media, which he chose in the 1960s after initially serving in the US Air Force for years. A well-known personality in the media sector of the USA, how rich is Charles Dolan at the present? As of 2015, Charles has been counting his net worth at an amount of $6 billion. Needless to say, all of his wealth has been amassed from his involvement in the media, which has been a big part of his life for more than 55 years. His has founded companies HBO and Cablevision which are very successful, and are the major sources of his income. Raised in Cleveland, Charles attended John Carroll University but dropped out before graduating. Initially, Charles took a job serving in the US Airforce, but in 1960 Charles left the USAF and started his journey in telecommunication. In the beginning, Charles started editing and producing short films for sports events with the help of his wife. Later, he sold this business to join an acquiring firm, and then moved to New York. During the 70s, the small project he and his wife started in Cleveland went on to be named as Home Box Office (HBO) which is a premium programming service in the cable television industry. HBO became very successful and later on, and in 1973 he sold it to Time Life Inc. which still owns it and has benefited from HBO’s global success. After selling HBO, Charles did not stop his endeavors in telecommunication, and organized Cablevision Systems Corporation – being the founder, Charles has had a great role in its success in the market. Needless to say, these two great projects have been very significant in adding heaps of money to Charles’s net worth, making him a billionaire in the process. As of now, Charles oversees the big decisions in Cablevision, where his son James Dolan serves as the CEO. Also, Charles has been controlling AMC networks as well as Madison Square Garden Inc. which happens to be one of the world’s largest stages. His net worth still gains from these activities. Apart from telecommunication, Charles also serves as a trustee of Fairfield University. 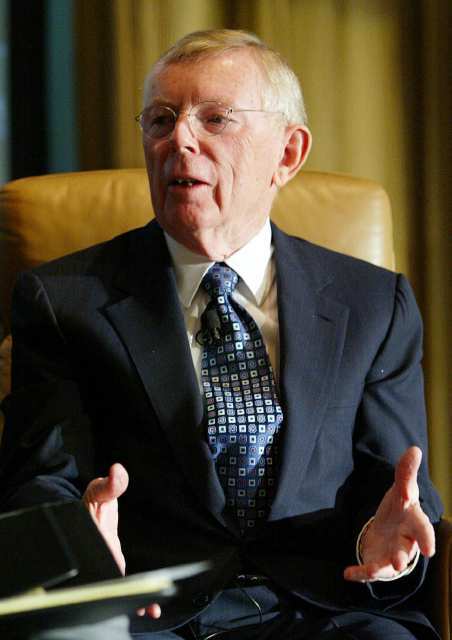 To recognize this service as well as his $25 million donation made in 2000 to this university, The Fairfield University Dolan School of Business was named after him. As for his personal life, Charles is married to Helen Ann, and they have six children, three of whom have been working in management of Cablevision, with James Dolan the present CEO of Cablevision. As of now, Charles and his wife reside at Oyster Bay, New York where he enjoys his days as a successful businessman and a billionaire with a total of $6 billion at his hands as his present net worth.